Invoke a Function Using a Gesture in a 3D Eyewear Experience , and under Add an Animated Sequence to your Experience!, click Blue pump exercise to download the BluePumpKit.zip file. Extract the contents of the .zip file to a location on your system. 1. Open the Eyewear project you created in the Create and Publish a 3D Eyewear Experience with a Gesture tutorial. 2. 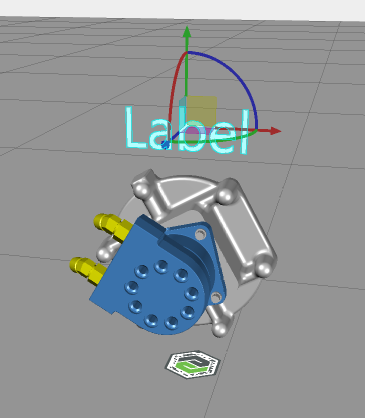 Drag and drop a 3D Label onto the canvas, and position the label to where you want it. 3. 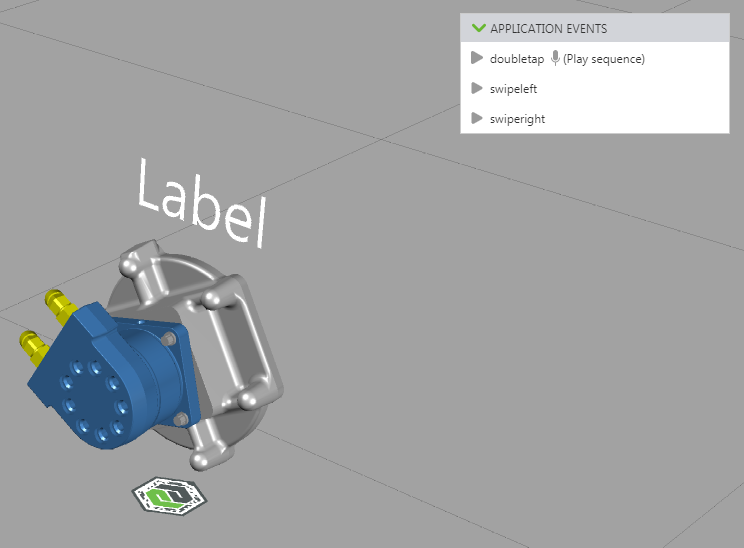 In the DETAILS pane of the 3D Label, enter white in the Font Color field. This will ensure that the label appears when viewing the Experience on the HoloLens. Where 15 is the number of degrees that the label rotates when the function is invoked. Change this number to make the rotation increment smaller or larger. 5. Click Home under VIEWS to return to the canvas. 8. Click Preview in the Studio toolbar. ◦ Click next to swipeleft to rotate the label to the left. 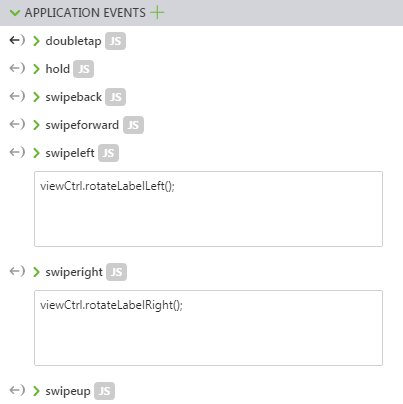 ◦ Click next to swiperight to rotate the label to the right. 10. If you’re happy with the preview, click Publish. 11. Finally, put on your HoloLens and scan the ThingMark that’s associated with your Experience. Use the swipe right or swipe left gesture, and watch the 3D label rotate! For more information on gestures, see 3D Eyewear Projects.